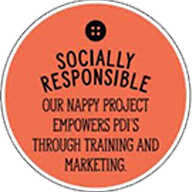 For some of the mom’s out there cloth nappies is a solution to affordability, while for the eco friendly mum it is clearly about the fact, that they do not want to impact our environment any further. Read on to find out how amazing the modern cloth nappy really is. Modern cloth nappies are a vast difference from the old 80cm terry toweling nappies of the days gone by. Today the waterproof cover is made from a soft fabric which is usually lined with a polyester fabric. The legs are elasticated. The waist has adjustable snap fasteners for growth. The front usually has a fastener or two which adjust upwards to allow for shorter or smaller babies. These snaps are called “risers”. There are many different ways to insert the absorbent pad into the nappy cover. We will chat about the types in a future blog post. 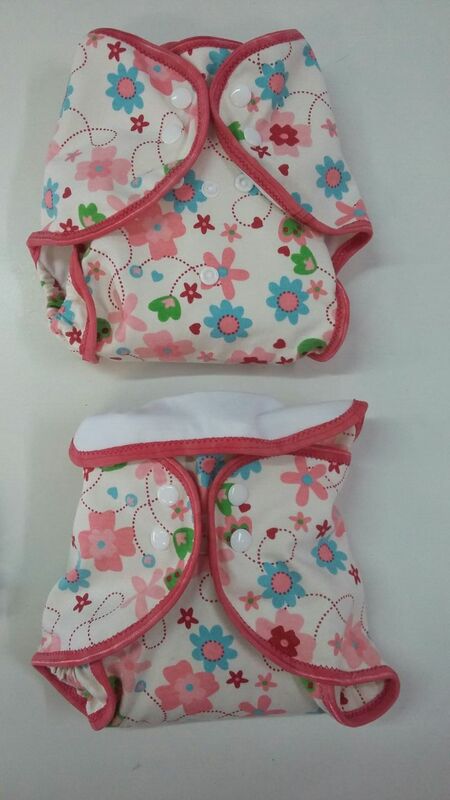 Moptails cloth nappy covers are made from cotton knit with an eco friendly Polyurethane Laminate Fabric. This fabric is cool, light weight and stretchy. Perfect for our South African climate! In fact, the covers are so small that they will roll into an adult fist. They have leg gussets, which helps prevent any leakage when the pad is fully utilized. They wash in a normal washing machine cycle in temperatures not more than 40 degrees. It has been suggested that a cover can survive about 300 washes! Best of all is the fact that the Moptails covers dry incredibly fast. The nappies on the washline below were washed one very miserable, wet, winter morning. They were dry within four hours! The item which will absorb urine is the soaker pad. There are many different types of pads on the market. These pads are highly absorbent and vary in the way they hold urine. The most popular fabrics used are microfiber, bamboo and toweling. These days finding good quality cotton toweling is very difficult and so the pad’s inners have a variety of products inside them. Fabrics used are hemp, bamboo, toweling, fleece and cotton knit. These can take many hours to dry. It is therefore recommended to have at least an extra pair of pads per two covers to ensure that moms have enough pads on wet days. The beauty of the pads is that they do not require soaking in a sterilization process before washing. After use, simply rinse out the urine and store in an airtight container until a large enough load is collected. The washing process is very simple as they can be washed using a normal washing detergent in a washing machine. Moptails pad inners are made from a wool and cotton blend needlepunch. This then has a layer or zorb added. Zorb is a highly dense poly blended fiber with SILVADUR™ a product which inhibits the growth of odour and infection causing bacteria. These products have the ability to absorb 10x their weight in moisture and are 20x faster than cotton, bamboo and hemp knits. Not only is this impressive, but the zorb has the ability to distribute moisture and avoid leaking under compression. So if your baby has already passed urine and is possibly sitting in his car seat when the next pee happens, chances are leakage would occur. The zorb will quickly distribute this excess to dryer areas of the pad. The pads are covered with a layer of cotton knit on one side and a polyester toweling on the other side. Either side of the pads can be worn against the body. One thing that modern cloth nappy users are reporting is the fact that baby does not need barrier creams rubbed on. Rashes and infections caused from heat buildup, is radically reduced. Should a baby require a cream due to a rash, there could be a buildup of residue on the pads which could cause them to be less absorbent. If this happens the pads should be stripped in a very hot rinse to remove the oils. So before you shout that the costs of electricity, water and manpower are high consider this: a single baby should normally be changed every 3 hours. The number of changes in a 24 hour period = 8 x 703 days per 24 months = 5840 nappies! Now calculate the average price of a single nappy ( currently R2.80 in South Africa) and the expected budget for this child is R16352.00! 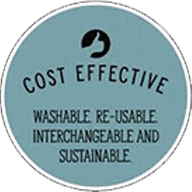 Added to this cost is the impact on the environment with landfill and cartage costs. 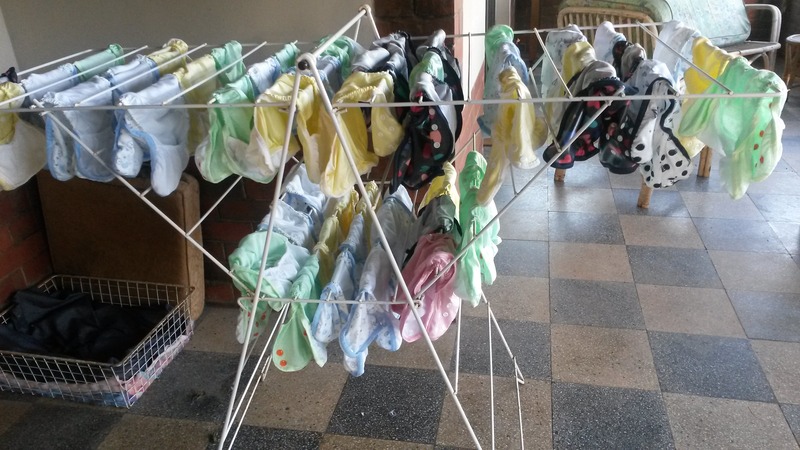 The cloth nappy supporters reckon that 7000 nappies equate to ½ ton of landfill. I don’t know about you, but this figure would scare me off using anything disposable. So to finish off this post, why would you not want to cloth your next baby? If Queen Victoria washed cloth nappies and left no waste in the environment….what about you?